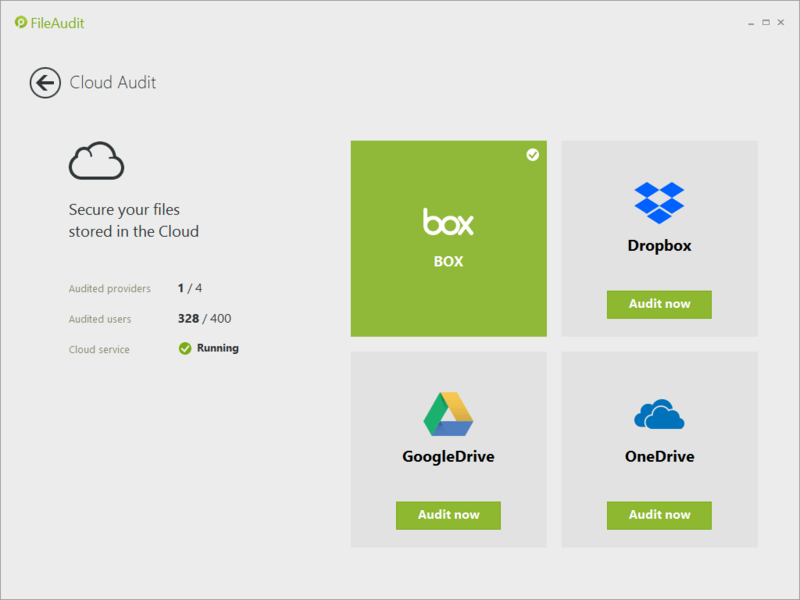 Audit accesses on files stored by OneDrive for Business, G Suite Business, Dropbox Business and Box. Traditionally, FileAudit monitored files and folders on Windows Active Directory-based servers, but with the release of Version 6.0, IS Decisions has extended FileAudit’s monitoring capabilities to major cloud file storage providers. Now, if you’re managing your organization’s storage with a mixture of on-premises and cloud storage, FileAudit gives you a consistent view of the security of your data across all your storage servers —from one tool and one consolidated dashboard. Real-time and historical audit trail of who accessed critical files, what they did (including Copy, Rename, Move and Shared), and when they did it. Alerts on actions deemed abnormal to help quickly identify inappropriate file activity and potential abuse. Comprehensive and centralized reporting to give precise answers to questions about malicious access, alteration or the destruction of sensitive files. Robust filtering capabilities help quickly answer the questions. Organizations must achieve the same levels of visibility over access to and usage of file data in the cloud as they have enjoyed for years on-premise. A single, consolidated view of all file activity – both in the cloud and on-premises – will reduce the risk associated with allowing users anytime, anywhere, any device access to cloud-based file data. Trigger a specific action when something is detected by one of your FileAudit alert rules. Create a script and allow it to run whenever the alert is triggered. This method allows you to automatically react to an abnormal or suspicious event. 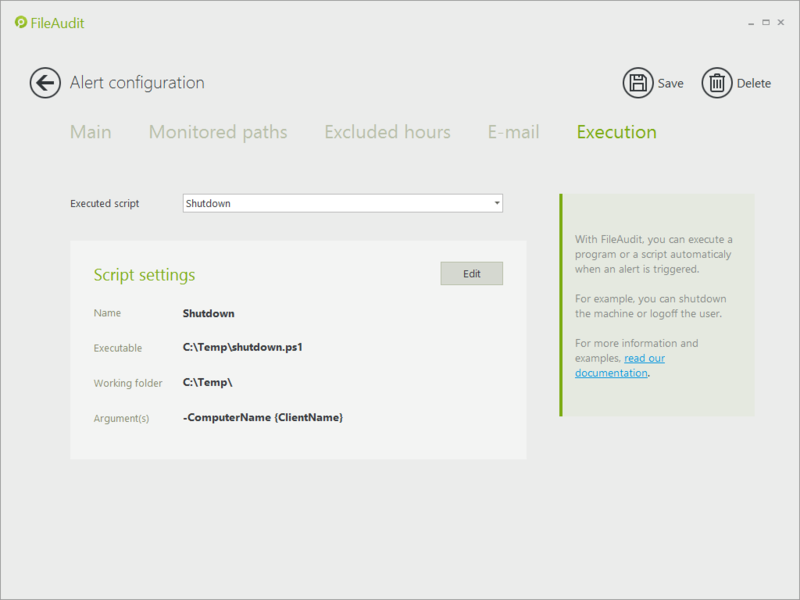 For example you could execute a script to shut down the machine or logoff the user.